I recently purchased Netgear WN3000 RP Universal Wi-Fi Range Router. It was working smoothly from one month. But after one month, technical issues have started. I found that there was a problem with Mac Address Filtering. I also modify MAC address to router list but there is no effect. I have also read manual but I am unable to figure out the solution. Step 1: First, disable the Access Control list feature on the MAC address filtering on your main router. Step 2: Turn On your repeater and connect all your devices to this extended network. Mind you your main router is different from your repeater, so connect these devices to the repeater or 2nd router. Step 3: Make sure that the LED lights on your repeater is working fine and is stable in nature. If it is not power cycle your repeater by switching it off for few minutes and then turning it On back. 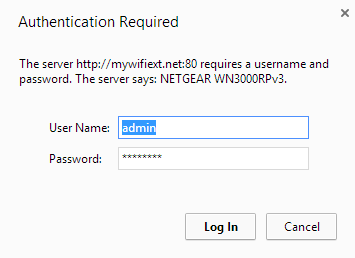 Step 4: Open your web browser and type in www.mywifiext.net in the given URL field and hit Enter. A pop-up tab will appear before you asking for a Username and Password. Enter 'admin" in the username field and "password" in the Password field. Step 5: Once the login part is complete, go to "Network Devices", here you can see all your devices connected to the repeater. Step 6: Go to your main router user interface and add all of the MAC Addresses beginning with 02:0F: B5 under the MAC Address Filtering or Access Control List section. Step 7: Now you will be able to access your internet even when it is connected to an extended network. Hopefully, the above-given steps helped you in resolving your problem. In case you have any query regarding these troubleshooting techniques, kindly revert back with your query.